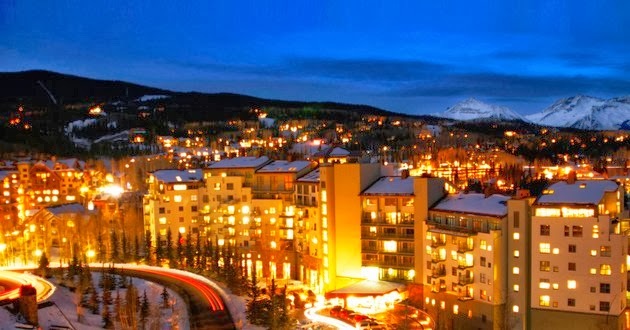 For those avid ski bunnies, starting the New Year with a destination vacation to an upscale mountain resort is the ideal getaway. At The Peaks Resort & Spa in Telluride, CO, you not only get 2000 acres of Rocky Mountain terrain, but you also get a vacation full of majestic, mountainside bliss. At The Peaks Resort & Spa, there is an activity for everyone. 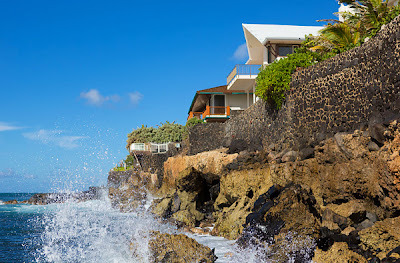 Depending on the time of year you plan your visit, activities range from golf, horseback riding, and hiking during the warmer months, to downhill skiing and snowboarding, cross-country skiing, snowshoeing, and snowmobiling during the colder months. 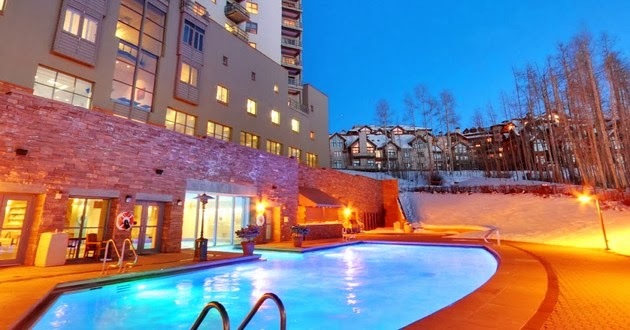 During those afternoons or evenings where your body is feeling the workout from earlier in the day, head to The Spa at The Peaks, where you can enjoy the use of multiple dry saunas, Roman baths, aromatherapy steam rooms, massages, and body treatments. The Peaks Resort & Spa offers guests a diverse selection of dining options. Enjoy local organic produce and free-range grass-fed meats at the Palmyra Restaurant, cozy up in oversized club chairs near the massive fireplace, while listening to live jazz music or acoustic guitar, or stop by the Steaming Bean Mountain Village for espresso and homemade pastries. 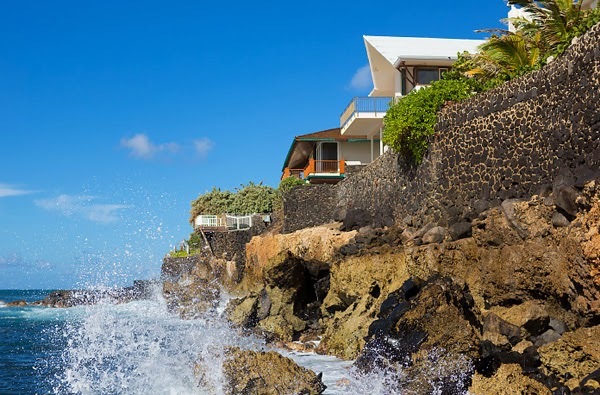 When you step through the green patina double doors of The Crest, a five-bedroom, four-bedroom oceanfront property in Hawaii, you are welcomed into a vintage home that was designed in 1958, and built a year later. The vintage home retains its original, coral mason walls, closets, and shelves, and even has several hidden closets throughout. 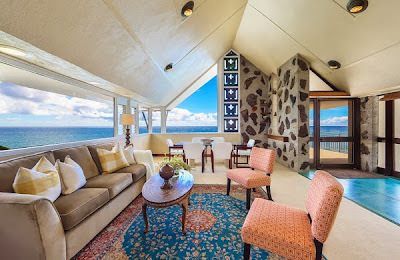 Each room boasts a view of the ocean, making every area a special place to relax in. By far, the most impressive area in the home is the living room lanai, which has its own fireplace for cooler days. 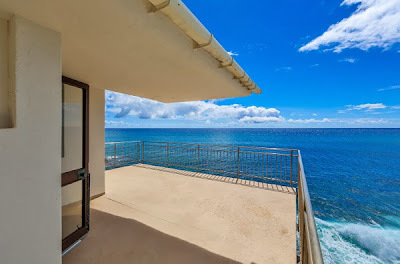 The lanai offers a 180-degree view of the ocean, as it extends beyond the sea wall, which is now a feature that is against new city ordinances for homes, making this a rare find. 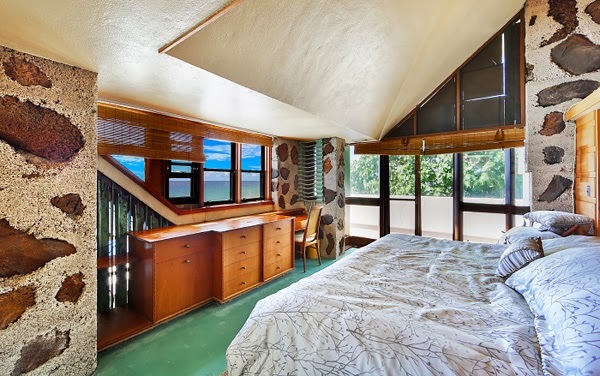 The house, which was inspired by Frank Lloyd Wright’s organic living aesthetic, needs several repairs, but believe us, they would be well worth it to reside in this gem! With the chilly, winter months fast approaching, there are few things we would enjoy more than a soothing, hot soak in a tub. We crave a tranquil getaway and a place to relax after a long, cold day, and we have compiled several of the tubs that we would love to soak in this winter. We feel you’ll agree! 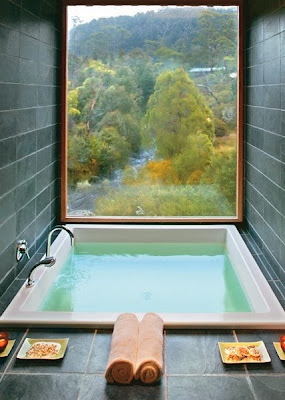 During the middle of a snowstorm, wouldn’t you love to be caught soaking in a steamy tub with views of the storm, rather than outside in the chilly weather? 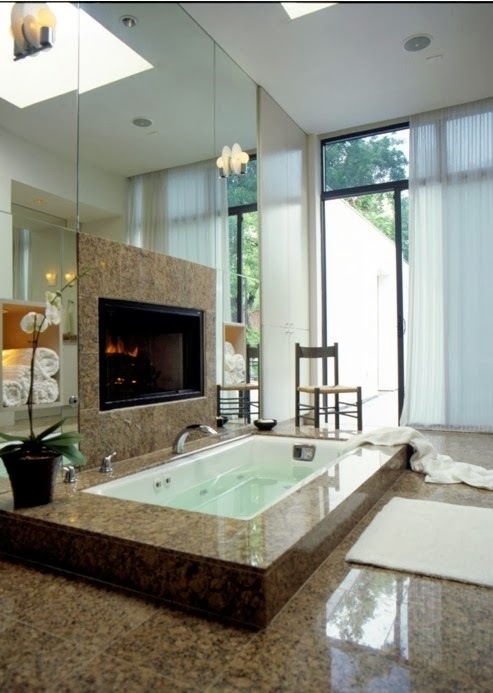 All bathrooms don’t come with perfect views, but we don’t think you’d mind soaking in a tub that is equipped with its’ own fireplace. 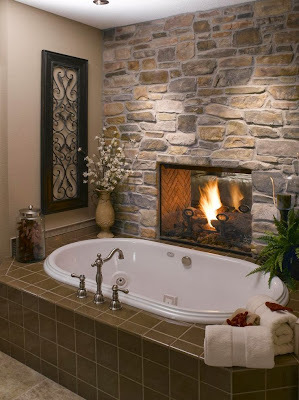 With a fire burning and a good book open, we have a feeling no one would want to leave this tub! Now picture yourself watching the snow fall outside while a fire is roaring next to you, except instead of relaxing on the couch, you’re unwinding in your dream tub. We have a hunch that this will be added to the top of your home-remodel list. Describe to us your perfect tub. Is it a claw-foot tub? A large, freestanding tub? Or one with a beautiful view? Red is the color of passion. It can be cheerful and happy, or it can be aggressive and angry. Red is a statement color, but it’s important to keep in mind when it’s too much, and when it’s not enough. If you’re not ready to commit to a bold red taking over the room, consider using red as an accent color, as this will draw attention to other furnishings in the room. The reds found in the pillows, rug and flower pot make the room pop, and draw attention to the hat on the wicker chest, the green plant on the dresser, and the oar decorating the wall. Simple goes a long way! 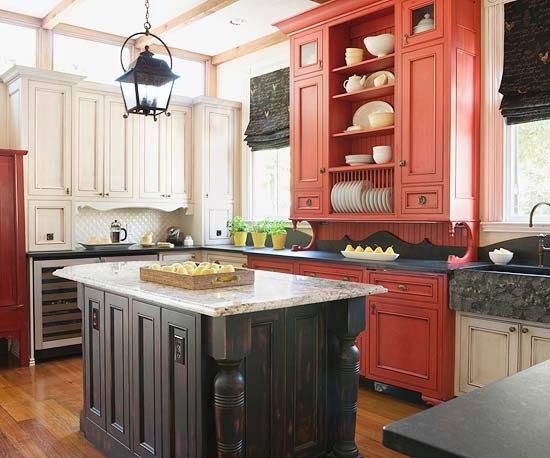 In the kitchen, instead of overwhelming your guests with red cabinets all around, choose a bank of cabinets to paint red. Not only does this add charisma to the room, but red also stimulates the appetite, making your guests want to stay in that room! 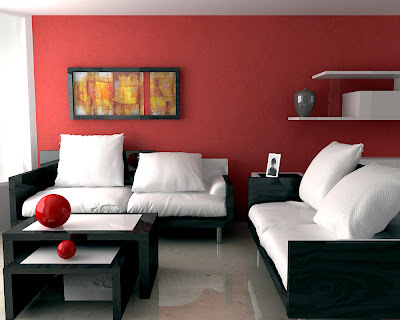 If you’re feeling bold and gutsy, and decide to go red heavy, just make sure that the room can handle it. 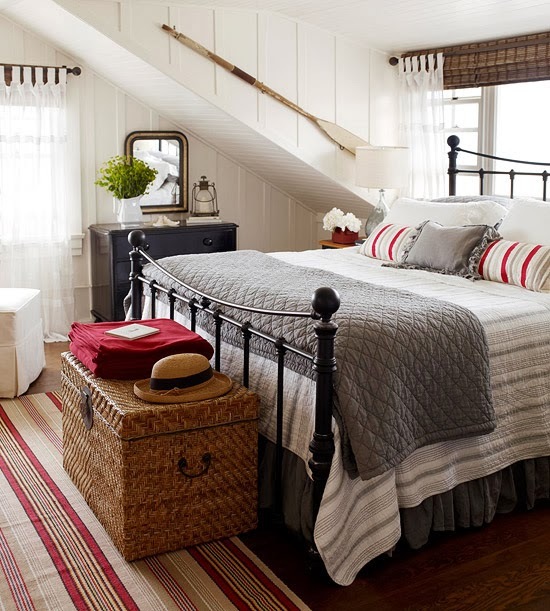 Using crisp black and whites work well with a bright red, making the room come together and not feel overwhelming. How are you using red in your home? Are you more apt to start off small before going bold?